Book Dickey's Party Room for your next meeting...FREE! 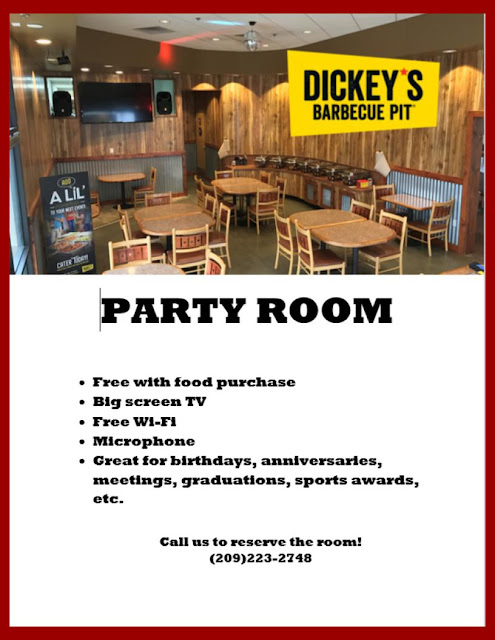 FREE USE of our Dickey's Party Room! Great for birthday, anniversary, graduation, sports awards parties, staff luncheons, meetings, etc. All we require is a minimum of ten people and we can cater your event, or you can choose from our regular menu. Call 418-9280 for more details! "What are we passionate about? We are passionate about the art of great barbecue!" 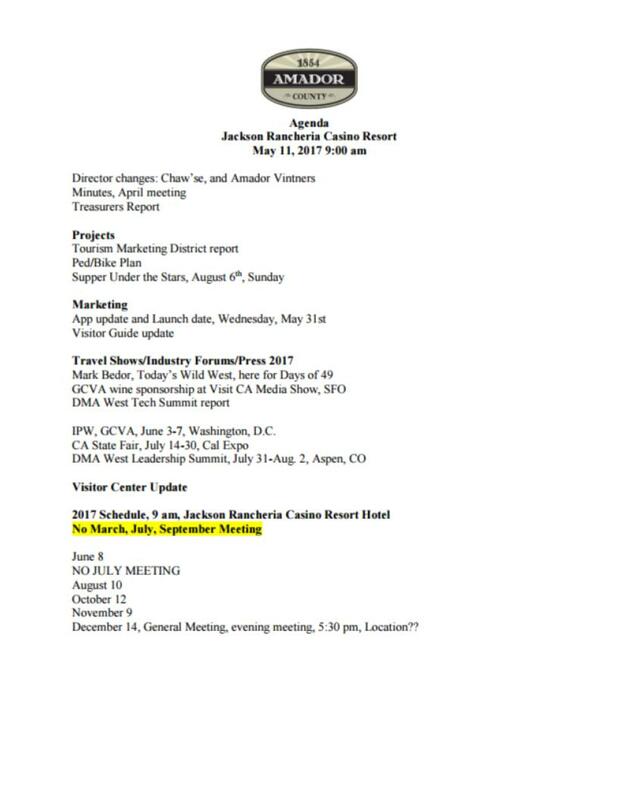 Our monthly Board Meetings are open to the Public and we encourage you to attend and find out what is happening in our beautiful County. 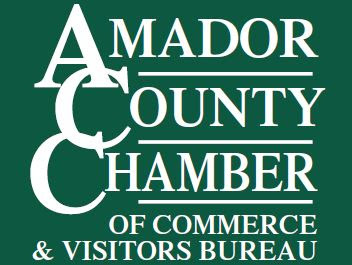 Amador Council of Tourism will hold its Board Meeting, Thursday, May 11, 9 am, at Jackson Rancheria Casino Resort in the hotel conference rooms. We will discuss these documents and more at the Board meeting. All are welcome to attend. A light breakfast, coffee, and tea are generously provided by Jackson Rancheria Casino Resort Hotel in Ballroom C. Please do arrive a bit early in order to start the meeting promptly. We will continue our discussion of the Tourism Marketing District, a critical funding mechanism to strengthen Amador Tourism’s fiscal health and longevity. It’s a busy time of year and I appreciate you making the time to participate in the process of marketing Amador as a destination. Also, Save the Date: Wednesday, May 31, we will demonstrate our new phone app and its powerful tools. More details to come! Please do contact me, Maureen Funk, by email, maureenfunk@volcano.net, or by cell phone, 209-969-5065, if I can be of further assistance. Please note our new physical address effective May 2nd. Fun ~ Fun ~ Fun!